Manly can't have much left in the tank... they had two similar games last year and got ripped a new one by Melbourne in the Preliminary Final - so if Souths make this a physical game then Manly are well and truly up against it. This game can be put to bed early if Souths get 'A Games' from Reynolds and Sutton but with Foran and DCE excellent last week - Manly will throw everything they can at the Bunnies. The key for Souths will be to avoid giving Manly field position for their superior halves to do damage with. 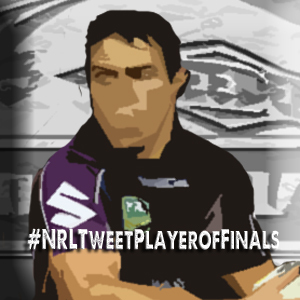 But will Manly fear Sutton and Reynolds based on recent performances? So over to you Reynolds and Sutton - if your forwards dominate the game then surely you'll find the gumption to get Souths into a decider for the first time in a very very long time? Manly - take your chances and who knows... Should be a great great game of footy. Souths - Will Souths pull a late swifty before kick-off? Don't rule it out, Maguire seems to go with the mix of players he thinks is best to beat his direct opponent - he doesn't seem to worry about who they have next week... so don't rule out Ben Lowe making the final bench here or in fact Keary as cover for an injury to a key playmaker. Manly - Brett Stewart - yep, remains in doubt. At this stage expect him to play barring a training session meltdown but Manly will carry Hiku on the bench as cover with Fa'aoso or Symonds (more likely) missing out as a result. Lyon's leg problem last week also makes the case for Hiku on the bench just that little bit stronger. PRE-GAME UPDATE: Both teams are 1-17. No Hiku for Manly. 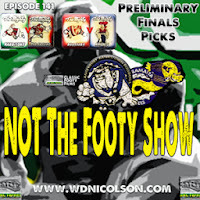 The Roosters should win... but we said that about Melbourne last week with the Knights as their opponents. Newcastle got the start they were after in Melbourne and as Craig Bellamy lamented - his team just wasn't 'up' for September like they had been in the past - and that's why the Knights started so well. The Roosters shouldn't have any trouble getting 'up' for this game given the quality in their side and the chance at a Grand Final... last week it felt like Melbourne were trying to hold onto their premiership defence as opposed to trying to win a chance to defend it... there's a difference there and I just can't see the Roosters not showing up with full intensity. But simply by showing up does not guarantee them a win against this Wayne Bennett-led team. The Knights just want to bust a gut for each other and behind Mullen's kicking game and just enough skill players - they can beat anyone... including the Roosters. Would love to pick Newcastle because I think their two semi final wins have been as good as a pair I have seen in recent memory - I have to back the Roosters. SBW, Maloney and Jennings - they are the keys to the Roosters for mine... and their amazing roll through the middle that rarely tapers off when the bench comes on. Newcastle will have defend incredibly and limit that trio's space... not easy, but as we saw the last two weeks - the Knights are up for the challenge. I see the Knights being in this but always trailing and in the end I think the Roosters will score a late try to turn a 16-10 or 18-12 score into something a tad flattering to Easts. But I don't mind if I'm wrong! Sydney - The final bench is still somewhat in flux... O'Donnell, Aubusson and Mortimer are certainties but Robinson could go with any one of Liu, Napa or Kennedy and he wouldn't really be making a bad call based on form. Cordner is not expected to play... (well right now he isn't). Newcastle - Tyrone Roberts is a certain starter, so Gower will not make the final squad. McManus is named but if the Knights take a chance on him surely that'd be for the Grand Final and not this week if he's only got one game in that ankle? Naiqama is coming in. PRE-GAME UPDATE: McManus is out, didn't last long at training this morning and hobbled off, Naiqama in and will stay in for Grand Final if Knights win. Roberts 100%. Cordner not playing and apparently O'Donnell withdraws with a hamstring strain. SBW will play. 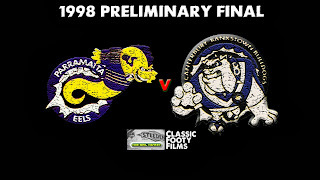 What are your tips for the Preliminary Finals? QF4: CBY 12 NEW 19 - Knights by 7 | CORRECT, Knights 22-6. Did you read our 2013 Season Preview?